PointsBet Has Plans To Bring A New Sports Betting Option In The U.S.
As FanDuel and DraftKings continue to battle head-to-head in the hot and still relatively new legal U.S. sports betting space, other players are beginning to enter the fold. On November 8, PointsBet announced the addition of former NFL superstar Darrelle Revis, with the intention of utilizing the future Hall of Famer to be the face of its soon-to-be released digital sportsbook. First reported by ESPN’s Adam Schefter, the Australian-based company will be creating content such as “The Revis Betting Academy” with perspective from the former lockdown cornerback, and a weekly content series titled “Darrelle’s Corner” in which he will provide insight into games and suggest certain bets to place. This is not PointsBet’s first relationship with an American athlete. Last month, it released an NBA-focused commercial featuring Hall of Famer Allen Iverson. 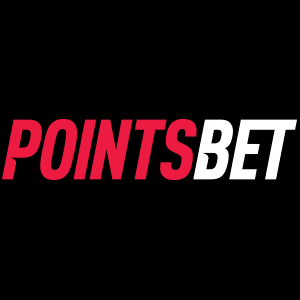 PointsBet differs from traditional sportsbooks in that users are betting on the point total, increasing the reward but also increasing the risk to each bet. For example, if you bet $10 on an NFL game with an over of 40, and the game ends at 50, you win 10 times your wager – $100. If, however, the game ends at 30, then you lose $100. It is no surprise that Revis, 33, is continuing to stay relevant within the industry since retiring from the NFL in July. He boasted high-profile endorsements from companies such as Nike, Bose and Range Rover, among others, while currently sitting at No. 20 on the NFL’s all-time career earnings list with $124.2 million, good for third out of all non-quarterbacks. PointsBet says that it is coming soon to the U.S., which means that it is not yet legal to play by U.S. residents as it has yet to be authorized for use by any of the states that have legalized sports betting within their borders.